HDR projects 4 enables you to generate very precise lighting situations that are not possible with “normal” photography or photo editing. The newest process for super realistic images with unbeatable contrast and detail that you have never seen before! Categories: Mac OS, Special Offers, Multimedia & Design. Tag: Franzis. This is magic. Start with complete light information. Once you have seen HDR images, normal images will just seem boring. HDR projects 4 enables you to generate very precise lighting situations that are not possible with “normal” photography or photo editing. The newest process for super realistic images with unbeatable contrast and detail that you have never seen before! 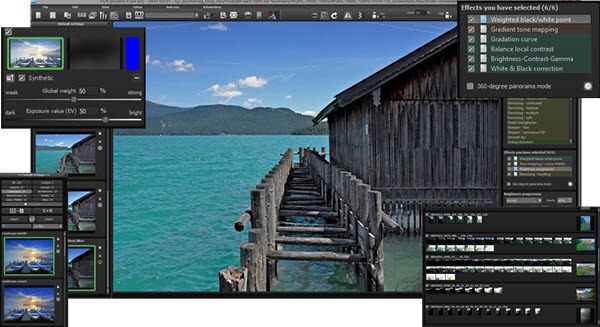 Can be used in various ways: HDR projects 4 works as a plug-in to Adobe® Photoshop® and Lightroom®, and as a standalone application. HDR photography reigns world wide as the only photography technique that really captures all image information. No camera sensor in the world can keep up with HDR – it is and remains a physical fact! For a decade, Franzis’ HDR program has guaranteed perfect application of this fascinating technique. 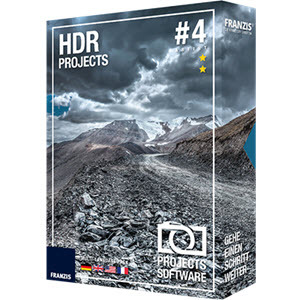 As a leader in HDR technology, Franzis also offers the newest highlight in HDR photography: Ultra HDR – the world premiere of this component of HDR projects 4. Your images will become even more realistic, the colours even more brilliant, the details even more pronounced and the atmosphere even more enticing. Every image is individually analysed and with the best possible effects, no example is like any other. Once you have seen HDR images, normal images will just seem boring. Just like an artist, HDR projects 4 enables you to generate very precise lighting situations that are not possible with “normal” photography or photo editing. The human eye’s range of contrast is far superior to that of a digital camera. There’s a technology behind HDR which compensates for this deficiency. You can finally experience photography with realistic expression. Throughout all the magic, HDR projects 4 remains the program for every photographer because of its easy accessibility. HDR projects processes photo files from every possible photo source and transforms the result into a masterpiece – be it an individual image or a bracketing series, taken with or without a tripod, a simple JPEG, a scanned image or a high-res RAW file. Your advantage: No more guesswork – you’ll see how changes effect your photo immediately! NEW! History-Browser: HDR projects never forgets, no work will be lost.No step in your workflow will be lost! Each area of your photo can be edited with the effect that is best fitting! Your Advantage: The name says it all: Fast Optimization!